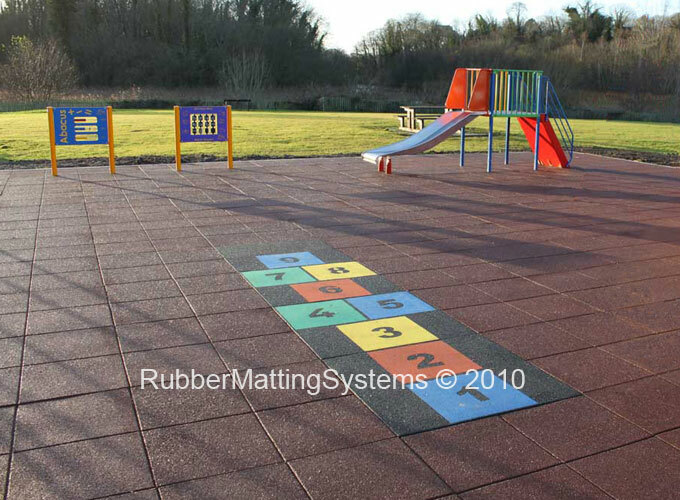 Our 1mx1m x 42.5mm Commercial Playground Tiles are designed to protect children in the event of a fall when playing in the playground or school yard. 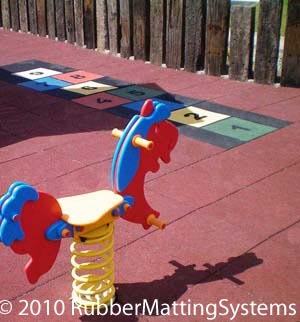 Each large 1m x1m rubber x 42.5mm playground tile creates the impression of 4 single square tiles. 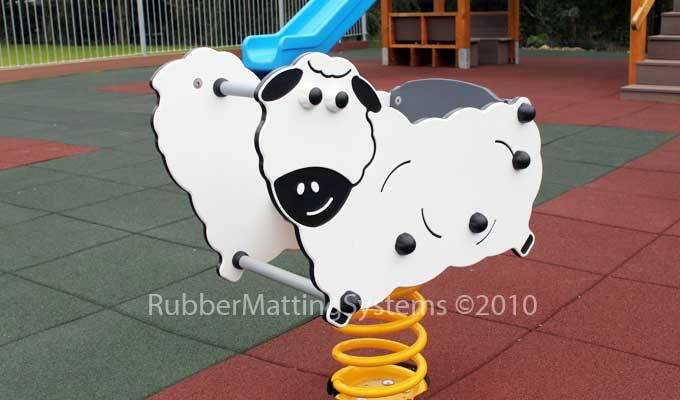 This playground surface system has the advantage of far fewer joints. They are very fast to install and are a lot more forgiving of the base than smaller tiles. 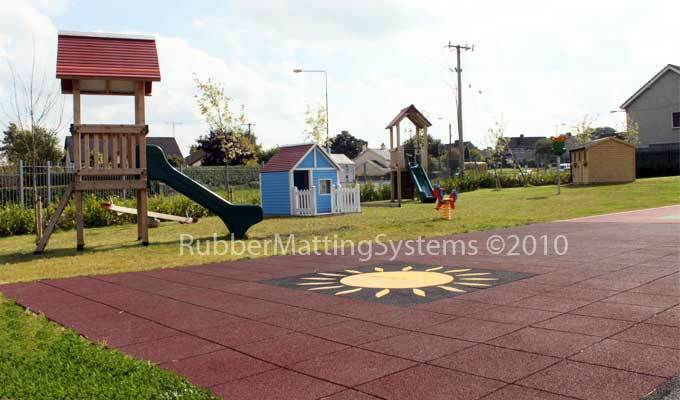 Our 1m2 Playground Tiles are made from hardwearing EPDM rubber and have a working life expectancy of up to 20 years. We Guarantee high quality production every time. 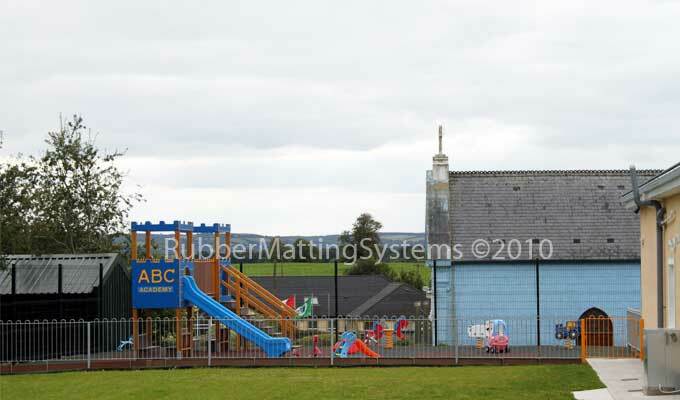 Our 1m x1m rubber playground tiles have been used in hundreds of playgrounds. These include preschool, school, commercial, village, community and public playgrounds. Our lightest Playground Tile weighs 29kg each. 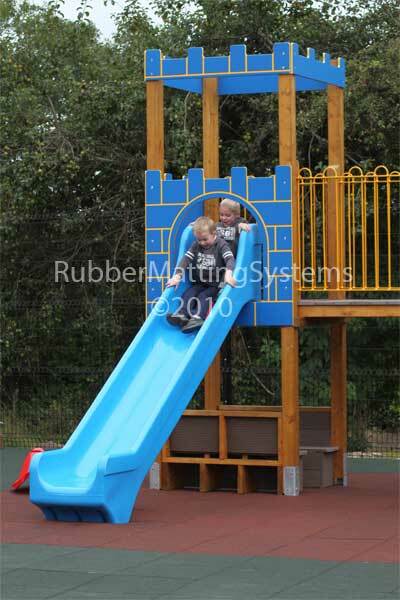 All of our rubber playground tiles have a very high safety rating. Our 42.5mm Playground Tiles provide a safety rating of 1.44m ( critical fall height ) when placed on a hard base such as tarmac or concrete. The critical fall height is the maximum pre-determined height that a child could fall from, without sustaining a critical injury when landing on a particular safety suface. Our 1m x 1m x 42.5mm rubber playground tiles provide protection against injury in creches, montessori preschools, schools and local authority playgrounds. 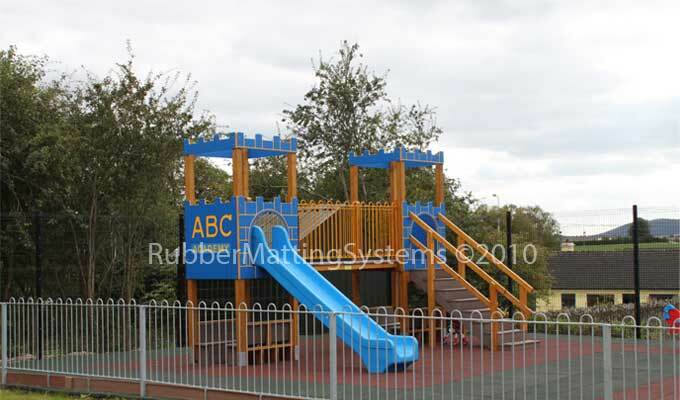 We manufacture other depths of rubber playground tiles: 60mm, 80mm, 100mm for higher critical fall heights, mostly for larger public playgrounds. 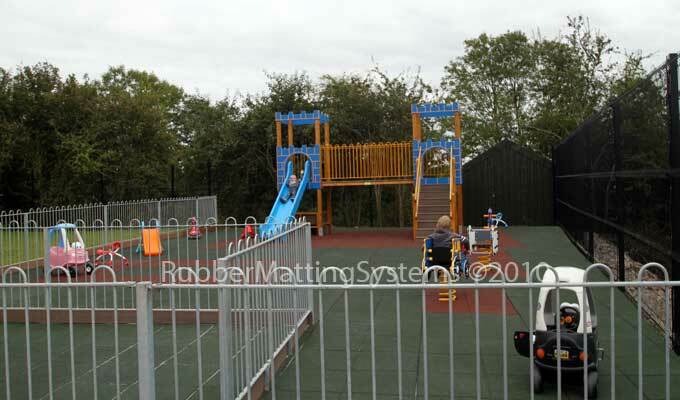 Domestic playgrounds, Hospitals and Nursing homes, Community projects and anti fatigue matting. Does not require specialist equipment to install - any building professional or experienced DIYer can install we provide a Full edging system if required, to create ramps up to the safety surface level. Access Utilities: The safety tile system can be lifted to gain acess to utilities below eg. 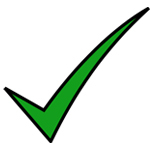 power cables, gas mains etc and then simply replaced with no lose of material or need for outside expertise.